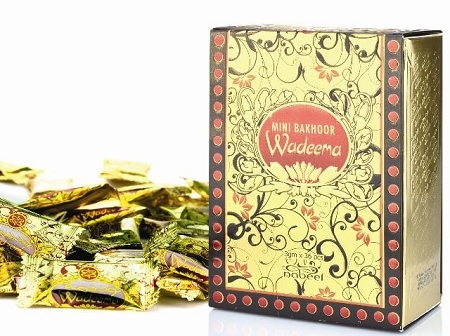 A beautiful smelling popular bakhoor, gentle to burn and slow to release Mini Bakhoor Wadeema. Top Notes : Cypress, Tagete, Saffron, Rosemary. Middle Notes : Sandalwood, Copaiba, Nagarmotha. Base Notes : White Musk, Agarwood, Patchouli. Olfactive Femilies : Oriental, Woody. Smells absolutely wonderful! Burns well. Very happy with my purchase! Wadeema is on of my favorite sents..Seller has prompt delivery. Price is somewhat high. If price was better Ide definitely purchase more frequently. 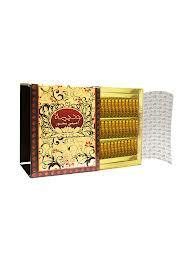 I love this Bakhoor. It smells very good. I'm almost finished with the box I purchased at ICNA and had to buy more before I ran out.